As it is said never judge a thing with its size, so is the case with Abbur. It is a small village in Karnataka that comes under Mysore district. It is situated on the banks of the River Kanwa. The village is famous for its divine spirituality. People visiting this place will find a newly born peace of mind. The place is a home to Saints of Vaishnava prophets and Mula-Brindavan of Sri Brahmanya. It is believed that Sri Brahmanya Thirtha, a great saint meditated for a long period of time inside a cave in Abbur. Before leaving for Brindavana, he passed the legacy to Sri Vysaraja and pronounced him as the head of the mutt. There are many idols that are worshipped here like Sita, Ramchandra, Lakshmidevi etc. The mutt is now termed as Kundapura Mutt. People visit this place to feel the atmosphere that makes them feel calm and composed. Abbur is covered with green fields that make it picture perfect. Human has travelled from mountains to oceans in search of peace; if once people looking for peace visit this place, they fall in love with its serenity and simplicity. The aura of this place is different from other places and without realizing positivity flows inside us. Abbur might be a small village but there are places in and around that are worth visiting. The nearby places are all blend of historic and latest scenarios. This place is around 3 km away from Abbur. One has to travel through a distorted road to reach here. 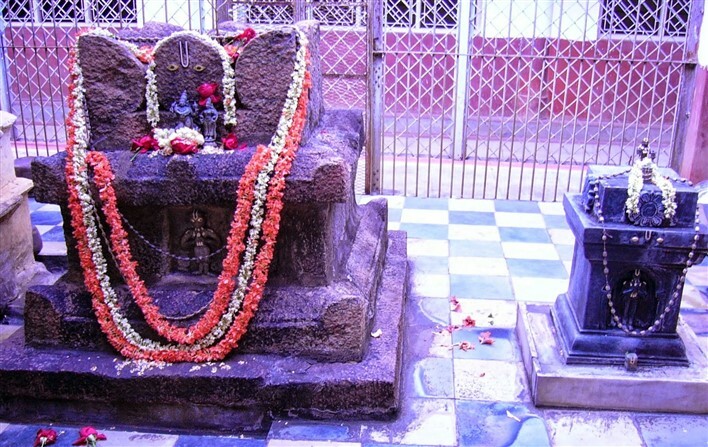 It is believed that Saint Puroshottama went into this Guha for deep meditation and never came back. People have deep faith in this Guha and they believe that the Saint still resides here. The Guha is deep and was open before for people to move in but now is blocked by installing an idol of Hanuman to stop people going into the depths. This city is located around 6km away from Abbur and is popular for lacquerware and wooden toys. 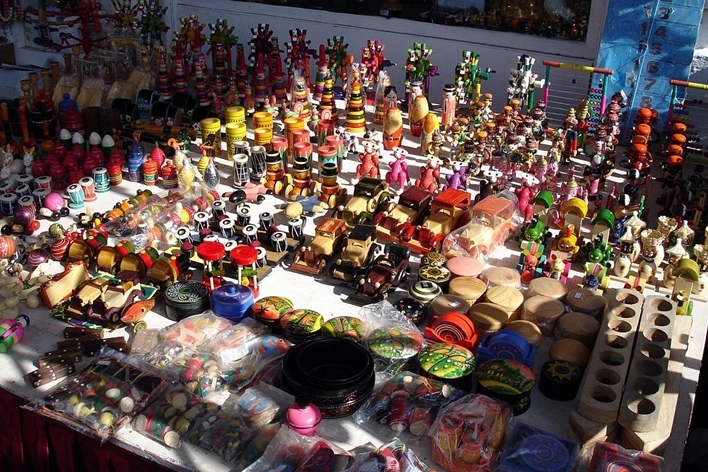 There are many traditional and small-scale industries in the city. Channapatna also manufactures ragi, coconut, raw silk and rice. People mostly visiting Abbur come via Channapatna only. Therefore, there are many autos available from here to Abbur. The temple is said to be constructed around 1000 years back by a king named Vishnuvardhana. It is said that the king’s mother lost her sight, Ramanujar came into king’s dream advising him to take her mother to Kanchipuram Varadharaja Temple so that she could see again. King’s mother wasn’t in a condition to travel and therefore, the king decided to construct a temple in his own city and named it Varadaraj Temple. King’s mother gains her eyesight back after rituals and offerings. 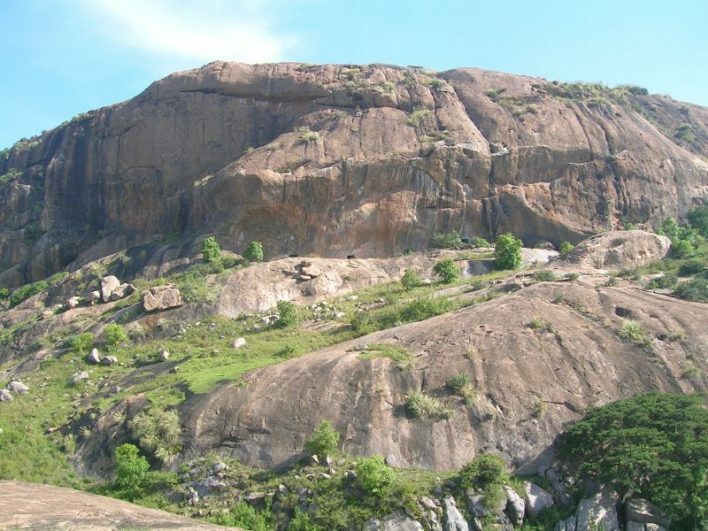 This place is famous for oldest granite outcrops. The place was ruled by Tipu Sultan and back then was called Shamserabad. The largest market in Asia for silk cocoons is in Ramanagram. The place is famous for sericulture and is also known as Silk city. There are many educational colleges here. Mysore is a beautiful city of Karnataka. It is almost 44km away from Abbur and must be visited for sure. 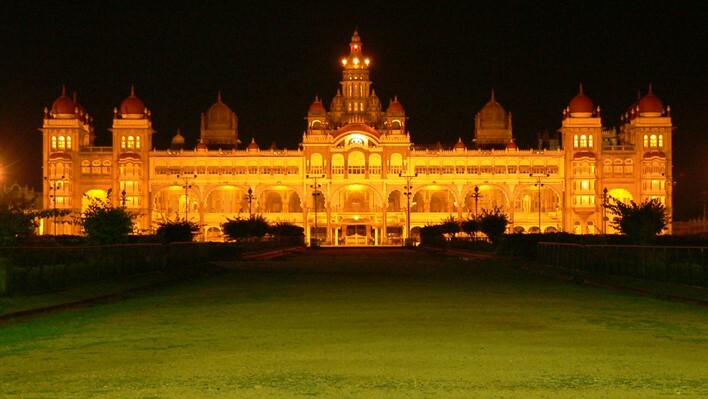 Mysore is a mixture of art, culture, historical monuments and educational institutes too. There are many places to visit here like the Mysore Fort, Chamundeshwari Temple etc. The city is termed as the Cultural Capital of Karnataka. If you are travelling via air, you have to fly to Mysore Airport which is the nearest airport from Abbur and is approximately 80 km away. Buses and taxis are available there that will drop you to Abbur. The nearest railway station is the Channapatna Railway Station that is around 8 km away. As soon as you get out of the station you will find the entire place flooded with autos. You can easily take one and visit Abbur in no time. Abbur is not far from Mysore (68.6 km) or Bangalore (204 km). KSRTC buses and also private buses are available from there. Since these two cities are rich in connectivity from all the major cities in India, you can easily come down here and then plan the journey further.